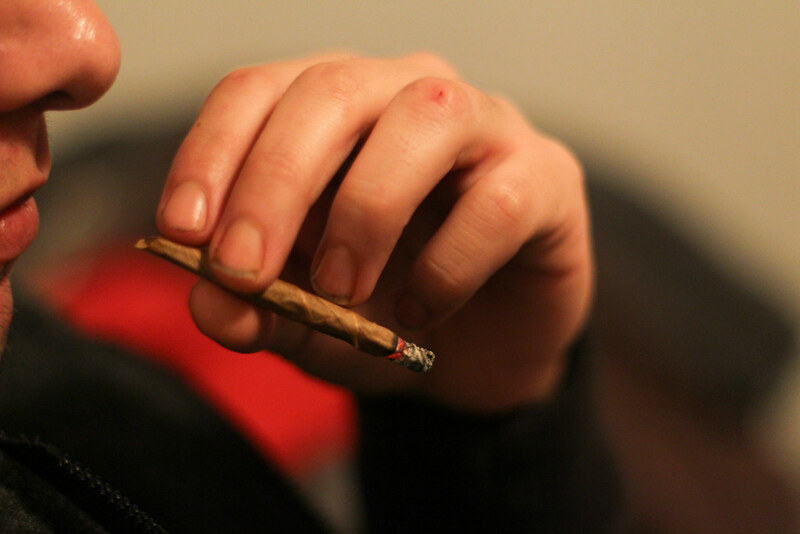 Does Smoking Weed Affect Your IQ? With so much debate on the topic, this article seeks to answer one of the most important cannabis questions of the year: does smoking weed affect IQ? As a psychoactive plant, it’s no wonder that many are concerned with the effect of cannabis on the brain. Unfortunately, research on the subject leaves much to be desired. However, new evidence suggests that there is no link between cannabis and a decreased IQ. Yet, the available studies can’t really say that cannabis doesn’t have an effect on IQ either. With all of this confusion, this article seeks to answer one of the most important cannabis questions of the year: does smoking weed affect IQ? Does smoking weed affect IQ? Geniuses including Carl Sagan and Steve Jobs have admitted to using cannabis, somewhat frequently, and both turned out to be highly successful in their respective fields. Many top-level artists, musicians, performers, and writers have also used cannabis to unwind and inspire free thought. However, when it comes to the research, the results are mixed. A few recent studies (discussed below) have found no clear link between cannabis consumption and decreased IQ. However, not all recent studies have been promising. The primary dilemma? Figuring out whether or not chronic cannabis consumption in teens has a negative impact on brain health. A study published in 2007 from New Zeland, for example, tested 70 adolescents found that teens identified as chronic cannabis consumers for scored the lowest on cognitive tasks. This study considered chronic cannabis consumption anything over once per week. A more recent study published in 2012 suggests that heavy cannabis use during adolescence and teen years can lead to cognitive decline. The research examined 1,037 individuals and followed them from birth to year 38. The researchers found that chronic cannabis consumption over a twenty-year span was associated with a loss of 6 IQ points. Consumers who began smoking in adolescence showed the largest declines. The research examined 1,037 individuals and followed them from birth to year 38. The researchers found that chronic cannabis consumption over a twenty-year span was associated with a loss of 6 IQ points. Consumers who began smoking in adolescence showed the largest declines. While the results of these studies sound daunting, they both fail to answer the primary question. Is cannabis the cause of these declines, or is there something else in the environment that contributes? Both studies have been criticized for failing to distinguish between correlation and causation. In the case of the 2012 study, critics pointed out that the researchers did not adequately determine whether or not cannabis was the primary culprit. They argue that the study didn’t sufficiently examine family environment or whether or not the participant had dropped out of school. There is a lot of debate about how much weight to give IQ as a measure of intelligence. IQ stands for “intelligence quotient”, which a number used to calculate problem-solving ability compared to an age-matched average. IQ tests short-term memory, mathematical ability, analytical thinking, and spatial recognition. What they don’t test for, however, is creative thinking, artistic intelligence, mechanical intelligence, emotional intelligence, social intelligence. Though having a higher IQ is equated to greater lifetime earnings, there is little information on the impact of IQ changes over time. Further, research has shown that there is a strong link between low IQ, socioeconomic status, and levels of education. Though debated, additional evidence suggests that low socioeconomic status is associated with a greater likelihood to consume cannabis by the age of 15. Much of the research available thus far suggests that family and social environment have vital roles to play in the intellectual wellbeing of adolescents and teens. It is difficult to tell where cannabis fits into this picture, and what complications or benefits it may add. There have been some fascinating population studies in the last five years. A longitudinal analysis published in the Journal of Pharmacology in January of 2016 followed 2,235 British teens, 24% of whom consumed cannabis. Teens that has consumed cannabis under 50 times by the age of 16 were no different from non-consumers in either IQ or educational performance. At first, young cannabis consumers did appear to have lower IQ scores than non-consumers. However, after the researchers adjusted for tobacco consumption, the correlation went away. While cannabis use alone was not linked to IQ decline in this particular study, teen cigarette smoking may do more harm to the brain. Another 2016 study puts a big kink in the cannabis lowers IQ argument. Also in January of 2016, research published in the Proceedings of the National Academy of Sciences (PNAS) found no difference between cannabis-consuming and non-consuming identical twins. The research consisted of two studies. Both were longitudinal endeavors, following 789 sets of twins and 2,277 sets of twins in another group. The twins were tracked for ten years, with five planned check-ins to ask about drug use. At the end of the ten-year mark, twins took IQ tests. The study found no difference between the intellectual development of cannabis-consuming twins and their non-consuming counterparts. In general, cannabis consumers scored about 4 IQ points lower than the average. However, their identical twins also showed a similar decline. So, does cannabis affect IQ? Unfortunately, there is no easy answer in the cannabis and IQ debate. Research suggests that there is something in the cannabis environment It is unclear whether this thing is cannabis itself, though the recent twin studies would suggest otherwise. While many find that the herb enhances creativity and promotes focus, science has yet to catch up to subjective experience. The plant remains a popular muse among creative types, adding color to works of artistic genius. Apart from the IQ question, research suggests that cannabis consumers may have hindered verbal memory than non-consumers. The study found that chronic cannabis consumers may lose as much as one word for every five years of heavy cannabis use. On average, half of all cannabis consumers remembered one word less than their counterparts. Does this mean that cannabis consumers are less intelligent? Certainly not. Perhaps it’s time to look at cannabis and intelligence in a more holistic way.